Students become more motivated and engaged in learning that is linked to things they care about in the world outside of school. Experiential learning offers students opportunities to connect with the community in various ways that encourage their deeper understanding of classroom learning, as well as their development of important 21st century skills such as problem solving and collaboration. Experiential learning activities immerse students in “an experience” that is connected to a community outside of school (either virtually, on-site, or a blending of both) through the Experiential Learning Cycle - a cycle of learning that is comprised of three necessary phases: participate, reflect, and apply. A question is associated with each stage of the process to help prompt student thinking. Participate: What? Students are active participants in an experience; aware of what they are doing, what they are thinking, and what they are feeling throughout. Reflect: So what? Students, guided by reflective questions and prompts, consider their experience, and identify what they have learned as a result – about themselves, other people, the world, their opportunities, or the subject of study. Apply: Now what? Students describe how their learning stimulates further questioning; how it has influenced – or may influence – their decisions, opinions, goals, and plans; and what they might do differently if they have a similar experience in future. The Upper Grand DSB offers a number of Experiential Learning Choices Programs (ELCPs), which are board-approved programs that provide a short-term extension of the regular school program with a focused curricular emphasis. ELCPs provide choice and programming options to students, allowing them to pursue personal interests and strengths while exploring a variety of destinations and pathways. Beyond Borders is an off-site business-learning program, with bundled courses in Business, English, Math, and an elective credit. Beyond Borders offers an opportunity for all enthusiastic and community-minded grade 12 students to enjoy a unique semester that will truly prepare them for the future. The program focuses on leadership development, business, math, global development and sustainability, with an emphasis on team-building, skill development, and experiential learning. 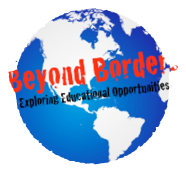 Visit the Beyond Borders website for more information. CELP is a 4-credit environmental leadership program. As a community of 24, students have a fall canoe or winter snowshoe trip, teach grade fives the Earthkeepers nature program, take their English, Civics and Careers courses in the context of environmental issues and form lasting friendships over community meals. CELP is open to all students in the Upper Grand District School Board through three sponsoring schools: Centennial CVI (see www.ugdsb.ca/celp), Norwell DSS (see norwellcelp.ca) and Wellington Heights SS. *Westside Secondary School students wishing to apply to CELP for the 2019-20 school year should contact their guidance counsellor. da Vinci is an interdisciplinary program open to all grade 11 students. Students will have the opportunity to obtain 4 Grade 11 credits (EnglishENG 3U, Biology SBI 3U, Visual Arts AVI 3M and Psychology, Sociology and Anthropology HSP 3M) in a natural setting nestled among hiking trails, forests and ponds of the Arboretum at the University of Guelph. For more information, visit the da Vinci website. *The DHP is not running in the 2018-19 school year. Students wishing to apply for the 2019-20 school year should contact their guidance counsellor. Headwaters is a program for grade 12 students in the Upper Grand District School Board. It offers 4 credits (Outdoor Activities, Environmental and Resource Management, English, and Interdisciplinary Studies) in a unique, semester-long, out-of-school format. Headwaters brings together 24 students from different schools to create a close knit community for learning and creating. Despite not knowing one another before the program, the students form friendships, experiences, and memories that will last a lifetime. The IDEA program will offer a 4-credit package that includes three arts credits: Drama in the Community, Non-Traditional Art, Exploring the Arts as well as Writer’s Craft (offered as both a College and University Grade 12 combined course). *IDEA is not running in the 2018-19 school year. Students wishing to apply for the 2019-20 school year should contact their guidance counsellor. MADE in Guelph is an exciting and engaging four-credit program for grade 11 students with a keen interest in the Arts. Central to the focus of MADE is that the Arts can be used as a tool for community-building, cultural development, and profound social change. Urban Arts MADE in Guelph website. MEI International Academy offers Ministry-accredited courses that are accredited by the UGDSB. These course credits will appear on students’ academic records and can be used for post-secondary education entry. Through MEI programs, students can study overseas in the summer and during the year in relevant locations that pertain to the subject they are studying. MEI’s mission is to offer a global high school experience where each lesson is designed to inspire real education in the locations students visit. MEI is a fee-based program. Scholarships are available for UGDSB students. MEI International Academy website. 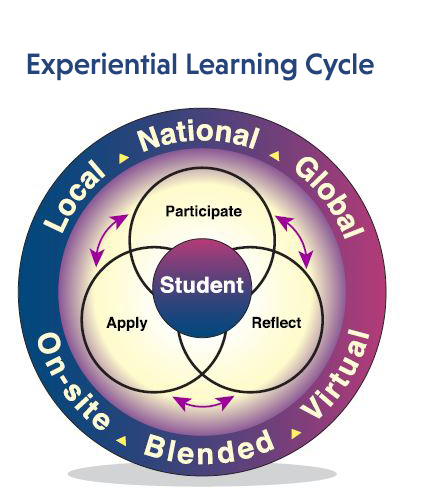 Experiential learning offers meaningful opportunities for learning for all students, K-12. Such opportunities benefit teachers, learners, parents, and community partners. UGDSB offers many unique experiences for students that enrich the school environment and classroom learning. This includes an evolution in our libraries towards Learning Commons. 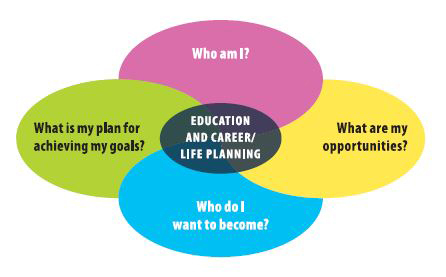 All students, Kindergarten through grade 12, are given opportunities to consider who they are, where they are going, and what opportunities exist to them through the 4-step inquiry process outlined in the Ontario Ministry of Education’s Creating Pathways to Success document (see Figure 1). Experiential learning is a key component of every student’s engagement in this process. The School to Careers Programming department comprises of four experiential programs that promote learning through experience and observation. Choosing a program based on their skills and ambitions, students can practice a career both within and outside of the classroom with full assistance and support, easing the transition as they move on to post-secondary education, whether in an apprenticeship, college, or university. Learn more about UGDSB's School to Career Program. As early as Kindergarten, students are encouraged to document their discoveries, questions, and considerations of who they are and who they want to become using different means. UGDSB offers a tool to help students to document their journey digitally, that will evolve with them from elementary, to high school, and beyond. Every student enrolled in an Upper Grand school is given a myBlueprint account, from the time they enrol? As they move from grade 6-7, their account matures with them, and becomes their primary individual pathway planning tool. Upon graduation, students can take their account with them to continue to access as they find helpful – for career searching, etc. Click here to learn more about how students and parents can get the most out of this tool.